Could apprenticeship programs bring more youngsters into trucking? This particular thought has been bandied about the trucking industry for some time now: allowing 18 to 21 year olds, under close supervision, to drive commercial trucks. Chris Spear, president and CEO of the American Trucking Associations (ATA) acknowledged to me at the recent TMW Systems and PeopleNet 2017 in.sight user conference and exposition that the trade group plans to push for the establishment of an apprentice program that would allow the trucking industry to “capture” 18 year old high school graduates and train them as drivers. “We’re losing the 18 to 21 year olds to other industries,” he explained as the reason why ATA plans to make a concerted effort to get the federal government behind its apprenticeship plan. Spear added that when he work in the Department of Labor during the George W. Bush’s presidency, he noted that the agency provided workforce training “grants” to a variety of industries to the tune of $4 billion a year – and Spear believes just retooling some of that money to fund truck driver apprenticeships, especially in the inner cities of the U.S., could uncork a broader flow of candidates into the truck driver employment pool. But not so fast, argue others – including John Larkin, managing director and head of transportation capital markets research for Stifel Capital Markets. In a recent research note, Larkin said “it could take several years” to gain Congressional and regulatory approval for such an apprenticeship program – “if the industry association can get any traction at all,” he added. Yet Larkin also emphasized that widespread adoption of autonomous trucks might be several decades, or more, away – leaving the trucking industry facing yet another challenge, that of “getting that message across to young people” who might consider a career as a professional truck driver if they were not going to eventually be replaced by self-driving machines. It’s a ticklish problem, no doubt: one of many bedeviling industry efforts to find, recruit, and retain good safety-conscious truck drivers. And it’s an effort that will need to be sustained for a long time to come. This entry was posted in Trucking News and tagged 3pl, logistics, program, reedtms, Technology, trucking on August 25, 2017 by ReedTMS. JobNewsUSA.com is hosting a job fair in Lakeland on Wednesday, August 23 from 10 a.m to 2 p.m. to fill hundreds of open positions. The job fair will be held at the Lakeland Center located at 701 W. Lime Street and will feature 17 different employers from the across the bay area. You must register for the event. Click here to register. Job seekers are encouraged to dress professionally and bring resumes or work history with them to the event. There will be free parking and admission to the job fair. This entry was posted in ReedTMS Job Fair's and tagged 33619, 33805, career, hiring, jobs, lakeland, now hiring, reedtms, Tampa, trucking on August 22, 2017 by ReedTMS. ReedTMS July 2017 Employee of the Month! Congratulations to Andy Patel, ReedTMS Logistics’ Employee of the month for July. Andy has been an incredible asset to the company and is regarded by his peers as one of the most innovative employees in the entire office. Thanks for all you do Andy, keep up the good work! This entry was posted in Prize Wheel and tagged reedtms on August 17, 2017 by ReedTMS. ReedTMS Logistics kicked off its fall philanthropic push on Saturday, August 12th by volunteering at Feeding Tampa Bay. Feeding Tampa Bay, part of the national Feeding America network, focuses on providing food to the more than 700,000 hungry in the 10-county area of West Central Florida. You might be surprised to learn that Florida is fourth in the nation for family hunger. Or, that 60% of the population in West Central Florida is eligible for food stamps. Many at-risk students won’t eat at all between lunch on Friday and breakfast Monday morning. Although these facts may surprise you, they are hard realities for the one in six in our region who live with daily hunger. According to the new Hunger in America 2014 study conducted nationally by Feeding America, you would be surprised to learn the characteristics of the 841,000 hungry people in the community served yearly by Feeding Tampa Bay. Too often, we associate being hungry with negative stereotypes, such as being homeless or uneducated, when that couldn’t be further from the truth. The new Hunger in America data humanizes the hungry in our community by showing they’re largely families or seniors with homes. They truly are our neighbors, our friends, our fellow church members and our coworkers. Employees at ReedTMS, helped package food into 20 different categories in order for the goods to be easily distributed throughout the community. When it was all said and done 9,823 meals were packaged for malnourished families in the Tampa Bay area on Saturday morning! For More information about Feeding Tampa Bay and how you can get involved in the cause, please visit their website here. This entry was posted in ReedTMS Philanthropy, Uncategorized and tagged charity, Feeding Tampa Bay, logistics, reedtms, Tampa Bay, transportation on August 14, 2017 by ReedTMS. Back in December 2016, Amazon made its first successful customer delivery in a trial area in the United Kingdom; in March 2017, the online retail giant completed a test delivery at its invite-only MARS 2017 robotics conference in Palm Springs. Now that it has filed a series of patents for drone delivery systems, Amazon seems to be following through on promises that Prime Air will eventually become a reality. An old joke says, “You don’t need a parachute to skydive. You only need one if you want to skydive twice.” This logic applies to dropping packages—which could contain any number of fragile products—from the air. Amazon’s latest approved patent reveals a design that incorporates a parachute directly into a package label, according to documents obtained from the U.S. Patent and Trade Office. Using these labels, Unmanned Aerial Vehicles (UAVs)—or drones—could deploy packages from the air and let them drift safely to the ground. This would reduce delivery times by eliminating the need to land and take off. Packages could even potentially be dropped without the drone stopping, which makes it possible to use multiple types of UAVs instead of just those that can hover and land. The patent also states that “different sized parachute canopies can be used for different sized shipping container’s descent appropriately to prevent damage to the contents of the shipping container,” suggesting that Amazon would scale the technology for a wide range of package sizes and weights. The patent also describes multiple ways UAVs might carry a parachute-labeled package, including mechanical arms, a suction system, magnets, and retractable shelves. The retailer also received recent patents for a magnet-based delivery system and a coiled spring model, so it seems likely that the company will use a combination of many technologies to get drone packages on doorsteps. Amazon continues to wait on Federal Aviation Administration approval before it can complete more widespread Prime Air distribution testing. This process will most likely take several more years, but there is little doubt that the company plans to drop its packages from the skies as soon as it is able. This entry was posted in Automation and tagged 3pl, amazon, logistics, supply chain, trucking on August 11, 2017 by ReedTMS. Two agencies in the Transportation Department are ending their push for a rule that would have required truck drivers and train operators to be tested for obstructive sleep apnea, a sleep disorder that’s been linked to preventable accidents. While calling OSA “an on-going concern,” the regulators said the issue can be addressed through existing safety programs and rules. The decision didn’t sit well with the National Transportation Safety Board. The agency, which has pushed for apnea screening and awareness, said it is “disappointed” by the move. The board cited its own findings that obstructive sleep apnea has been linked to 10 highway and rail accidents in the past 17 years. Last spring, the FMCSA and FRA cited a number of cases of rail and trucking crashes that were linked to OSA in recent years, including a railway collision that took place near Red Oak, Iowa, in 2011. 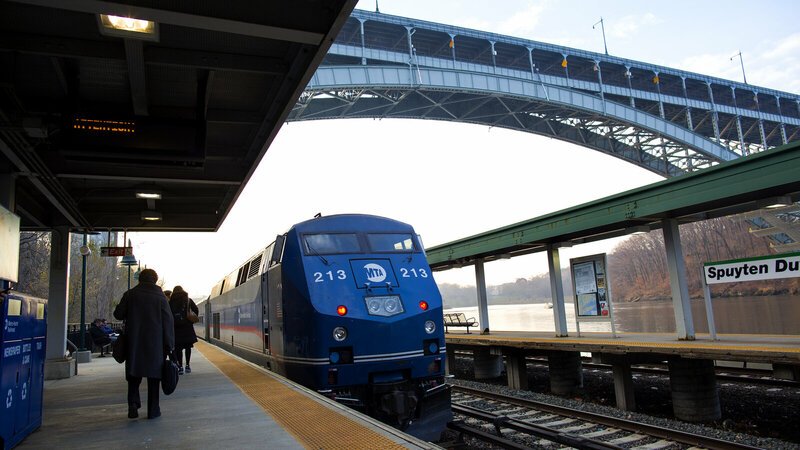 The agencies’ initial proposal also cited the 2013 derailment of a Metro-North Railroad passenger train that had been approaching the Spuyten Duyvil Station in New York City. In that crash that killed four passengers and injured more than 60 people, the engineer reported feeling dazed — and was later diagnosed with severe OSA. Obstructive sleep apnea’s risk factors include being male, obese, and middle-age or older. Family history can also play a role. In announcing the withdrawal of the proposal, the FMCSA recommended that commercial drivers and their employers consult the North American Fatigue Management Program to boost their awareness of fatigue and its impact on performance. This entry was posted in Trucking News and tagged congress, FMCSA, regulations, sleep apnea, truckers, trucking on August 10, 2017 by ReedTMS.